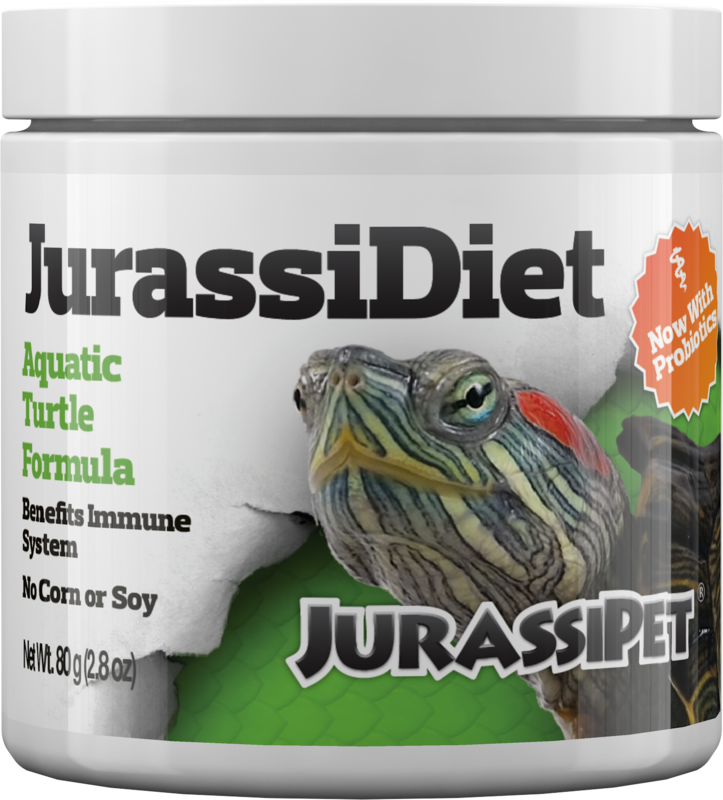 JurassiDiet™ Aquatic Turtle Formula is THE premium food for aquatic turtles. 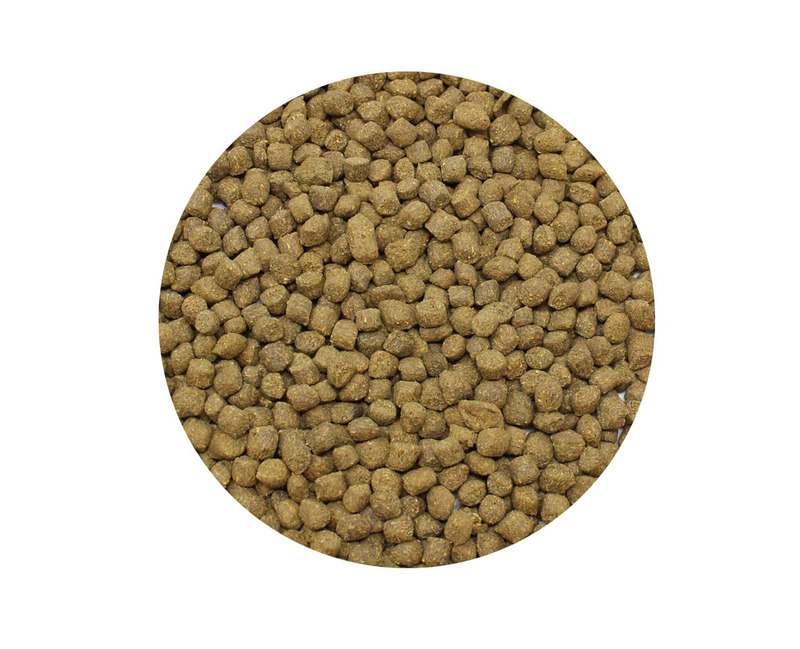 It contains only the highest quality ingredients without low nutritional value fillers like soy or corn meal, which can impair calcium absorption. 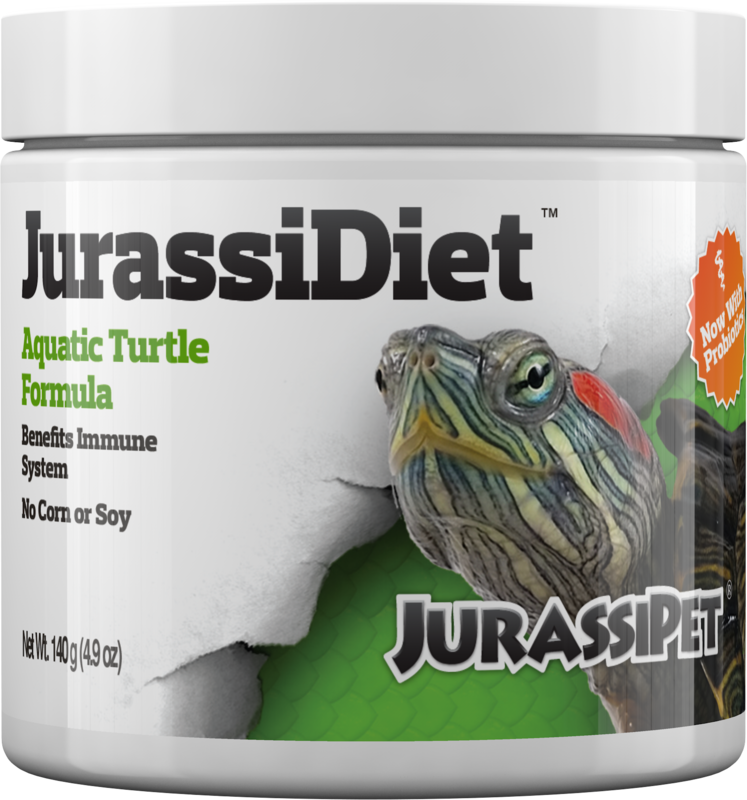 It contains a broad spectrum of all the important components needed in an aquatic turtle diet: protein, fat, carbohydrates, vitamins, and minerals. 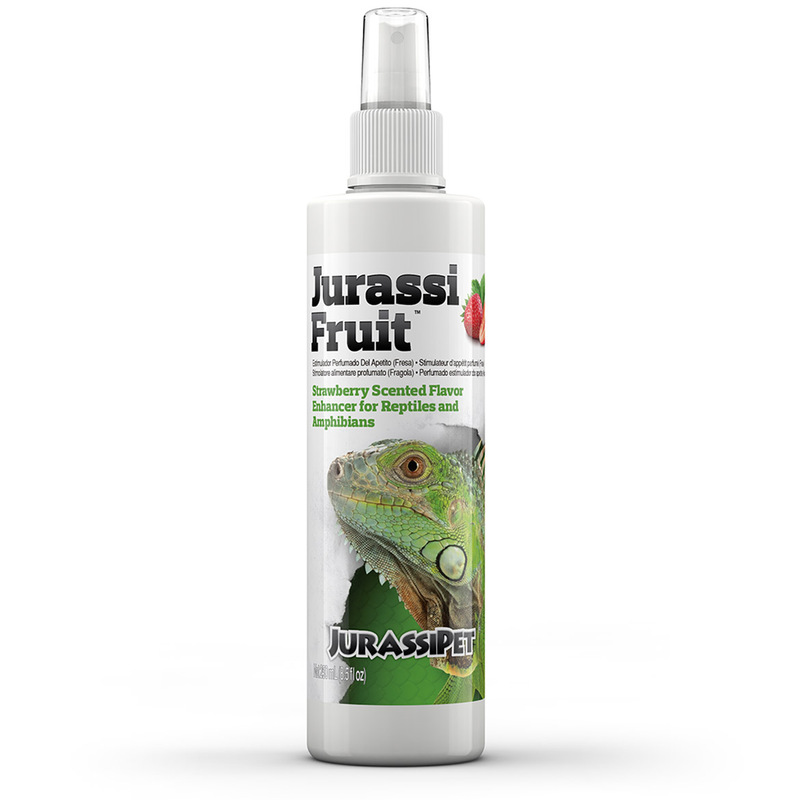 JurassiDiet™ also contains probiotics, which reduce waste and benefit nutrient uptake as well as the immune system. 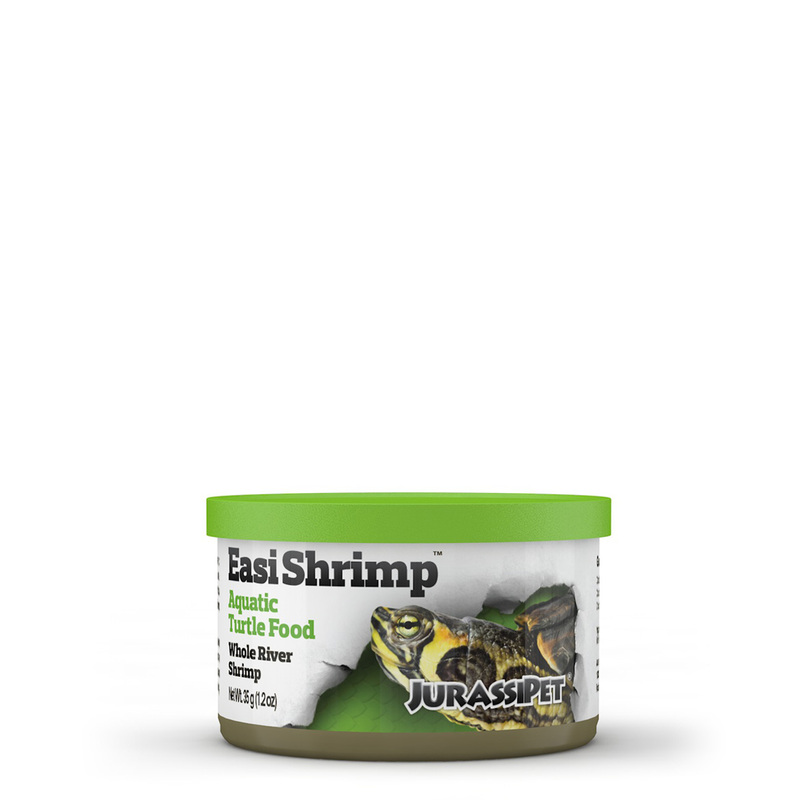 Also try our JurassiDiet EasiShrimp™ whole river shrimp for Aquatic Turtles. I have a few young sliders, and I am currently feeding them Repto-min food sticks along with various other live and frozen foods. I wanted to know if your diet would be better for my turtles, and also if they would readily change over to your diet. 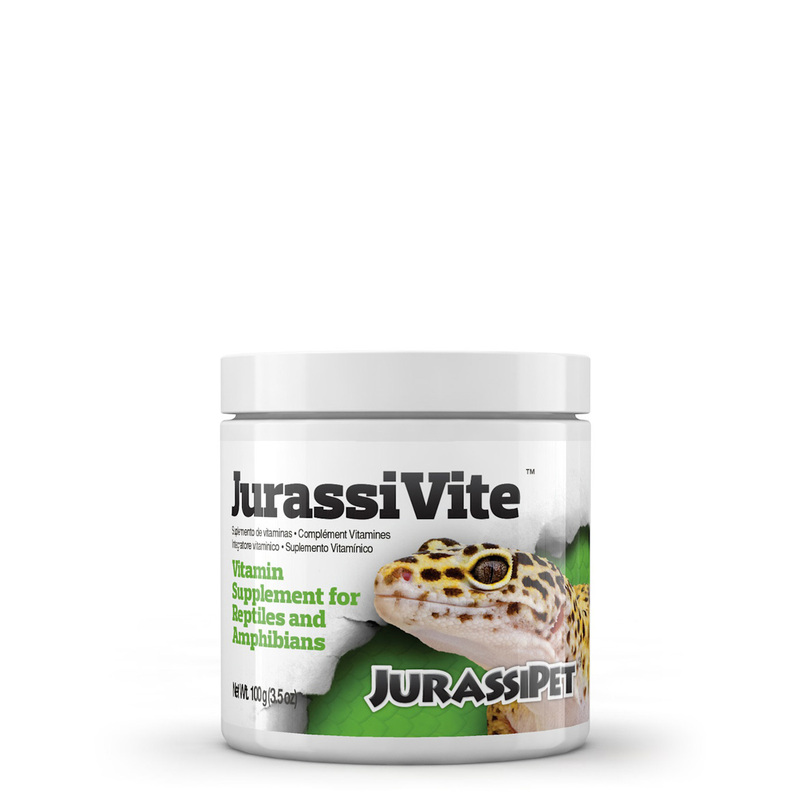 A: It has been my observation that it is easy to switch a turtle to a prepared food (like our JurassiDiet pellet) if it is already used to eating prepared food. If your turtle was only used to eating live foods, then you may have some difficultly getting it to eat any type of prepared food (not just ours). This is not the case with your turtles as they are already used to eating prepared foods. 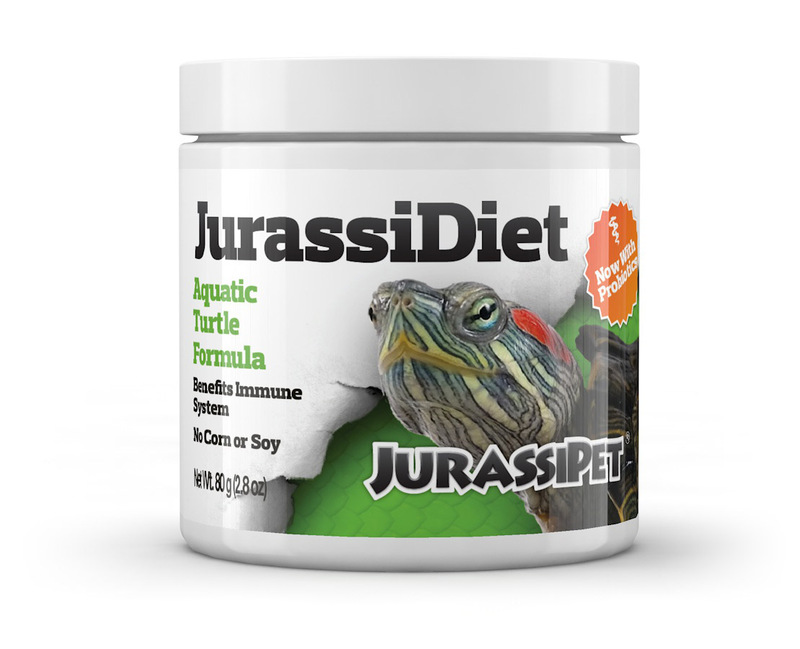 Our JurassiDiet Aquatic Turtle formula is a far superior food than what is currently on the market due to it's high quality ingredients without low nutritional value fillers like corn and soy. Corn and soy can actually be harmful because they contain oxylates and phytates which will bind available calcium. I urge you to check the ingredient list of your current food for these items. Also understand that corn has a 1 : 33 calcium to phosphorus ratio. 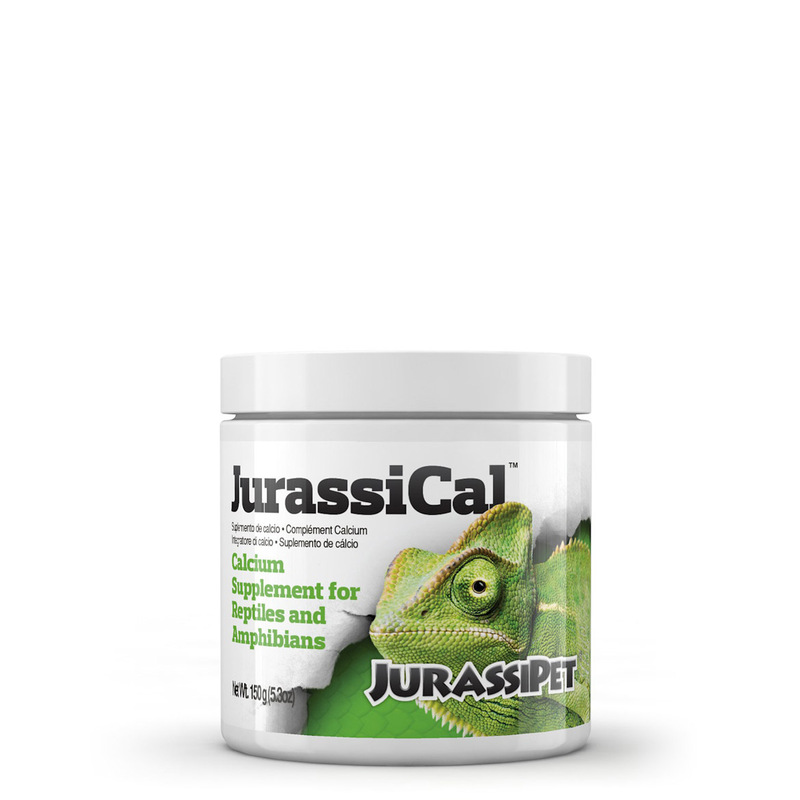 Ideally your reptile should receive a diet that has a calcium to phosphorus ratio of at least 2 : 1 and even up to 8 : 1 for some species (like turtles and tortoises). Our foods have an alfalfa base which has a calcium to phosphorus ratio of 6 : 1 (much better than the corn based foods that start you so far in the hole at 1 : 33!). It also contains a wide array of beneficial vitamins and minerals.....for example it contains vitamins A, D3, and E in the ideal ratio of 100 : 10 : 1. Vitamin A exists as beta carotene so it will not contribute to vitamin A toxicity and vitamin D3 is necessary for the incorporation of calcium and phosphorus into bone. 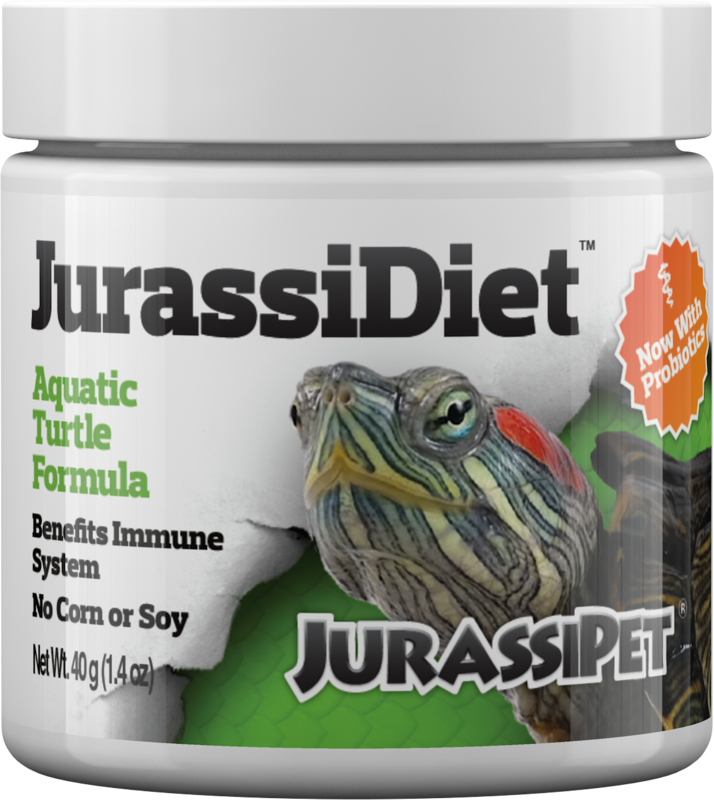 JurassiDiet™ Aquatic Turtle Food is a food; therefore it is exempt under CFR 1910.1200 (b) (5) (iii). 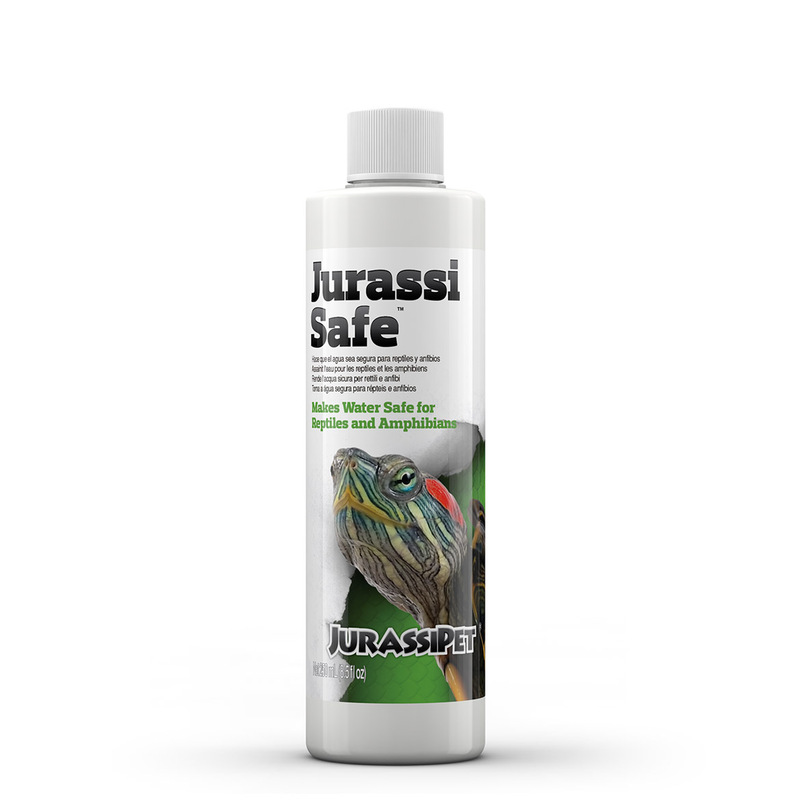 No safety data sheet is required for this product.